Is there a special kid in your life who’s about to graduate? 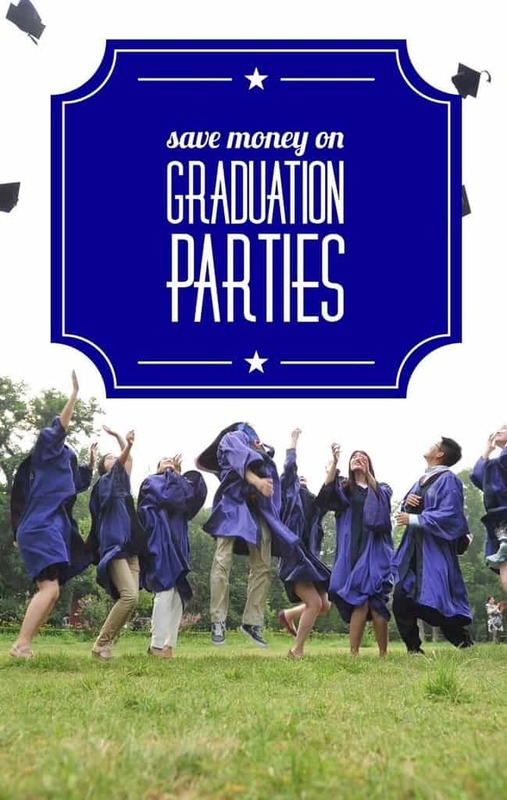 Throwing a graduation party is a great way to celebrate your graduate’s accomplishments, but unfortunately, it can cost a pretty penny. Since you’re probably thinking about college costs now that your child is graduating, a budget-friendly graduation party is definitely best. Here are some of the best ways to save money on graduation parties. Most people expect to see photos of the graduate at a graduation party. These pictures usually include snapshots of the graduate’s life, from diapers to diploma. Of course, you don’t want to disappoint your guests, but printing off pictures can get pretty expensive. You can save money on graduation parties by making a slideshow of pictures instead. Use your computer to put together a slideshow video with all of your favorite pictures. You can then play the slideshow on the TV or project it onto the wall. Instead of buying invitations or special ordering them, print off your own invitations from home. There are plenty of picture editing programs available that allow you to add text to pictures for free, making it easy and cheap to make your own invitations. If photo editing isn’t your thing, try asking your graduate for some help. Chances are, your graduate will be pretty handy with the computer and will have some advice for which picture they want to use for the invitations. Instead of renting a room or hosting the party at a restaurant, save some cash and host the graduation party in your home. Since the weather is usually nice and warm during graduation season, it would be super easy to fire up the grill and throw a party in the backyard. Graduation décor can definitely take up a lot of your budget. Instead of going to a party store and spending your entire budget on decorations, get crafty and try making your own decorations instead. You can usually find table covers, napkins, plates, and cutlery at the Dollar Tree, as well as balloons and streamers. Look up some ideas on Pinterest and use these cheap supplies to make your favorite pins. Catering a graduation party might seem easier, but it will definitely drain your budget dry. Instead of hiring a company or restaurant to cater your graduation party, recruit friends and family to cook the food instead. Ask a few people close to your family to provide a dish and then make the rest yourself. Although your grocery bill will be a little higher than normal, it will definitely be cheaper than a caterer would cost. These are just a few of the easier ways to save money on graduation parties. Ask your grad what he or she really wants most and go from there. Most teens really just want everyone to come hang out and celebrate, they’re not overly concerned with decorations and formality. As long as you’re all having fun, that’s really all that matters! What are your best tips to save money on graduation parties? Tell us in the comments! Love the idea of making a slideshow – it’s something so fun to watch at the time and great to keep for years to come! I am frequently amazed at how much people spend on certain parties. I agree with all of your tips. Great tips! My daughter is graduating this summer, and we haven’t even started planning a party yet! I need to get going on that. These are great ideas for saving money. This year my son graduates high school and my daughter graduates college. Busy! I’m planning a birthday party, so I appreciate these tips. I think that I will print my own invitations since that is a great way to save. My aunt saved money on my cousins graduation party buy supplying all the snacks and drinks. She did order chicken from a local joint though.